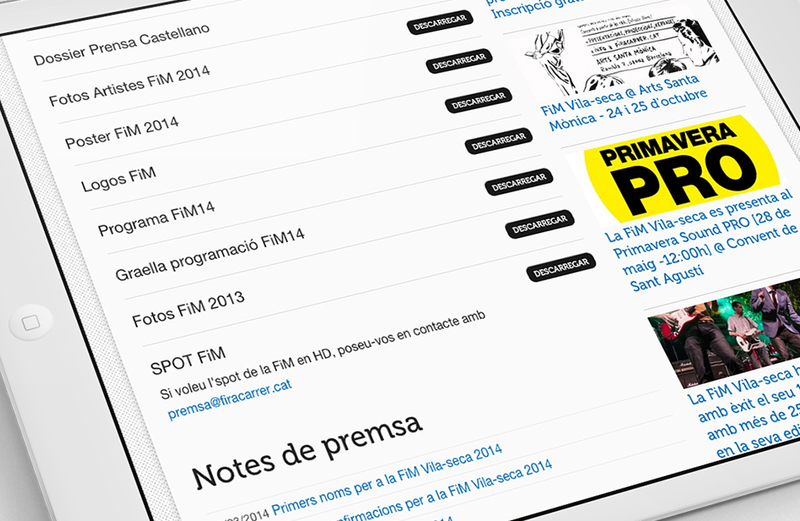 Design, front-end development responsive design and custom WordPress coding for FiM – Fira de Música al Carrer de Vila-seca new website. Each artist has a single page with their photos, text, music and video players, concert dates and more. In this page the press department can publish clippings, dossiers and latest news. The site adapts automatically to all devices. Bespoke content management system allows festival’s communication department add and modify new artists, publish news, media content, videos, music. Discover more works of artists, Music or Portfolio, Corporate Site.